The creation of economic institutions that can function well under substantial uncertainties -- Black Swans -- is analogous to the dilemmas confronting our hunter-gatherer forefathers in the face of large-scale ecological unpredictability. The ultimate solution was not the development of a super hunter-gatherer technology that could ride out repeated catastrophe, but rather the invention, in neolithic times, of culturally-adapted 'farmed' ecosystems constructed to maximize food yield and minimize risks of famine. Recent advances in evolutionary and ecosystem theory applied to economic structure and process may permit construction of both new economic theory and new tools for data analysis that can help in the design of more robust economic institutions. This may result in less frequent and less disruptive transitions, and enable the design of culturally-specific systems less affected by those that do occur. 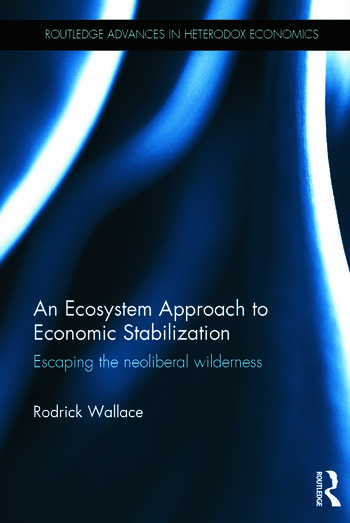 This unique and innovative book applies cutting-edge methods from cognitive science and evolutionary theory to the problem of the necessary stabilization of economic processes. At the core of this book is the establishment of a statistics-like toolbox for the study of empirical data that is consistent with generalized evolutionary approaches. This toolbox enables the construction of both new economic theories and methods of data analysis that can help in the design of more robust economic institutions. This in turn will result in less frequent and less disruptive Black Swans, and enable as well the design of culturally-specific systems less affected by those that do occur.